Generate Revenue with Solar Power. Electricity rates are at an all-time high, leaving many Self Storage businesses looking for ways to offset these soaring costs. Do your part to help the environment, reduce energy costs and attract new customers by installing solar panels on your self-storage facility. If you are in the market to remodel, expand or update your self-storage business, solar panels can be easily installed on your property and on the rooftops of your self-storage buildings and Boat/RV canopies. In addition, federal and state tax credits, along with grants and depreciation, have made solar-panel installation more affordable. 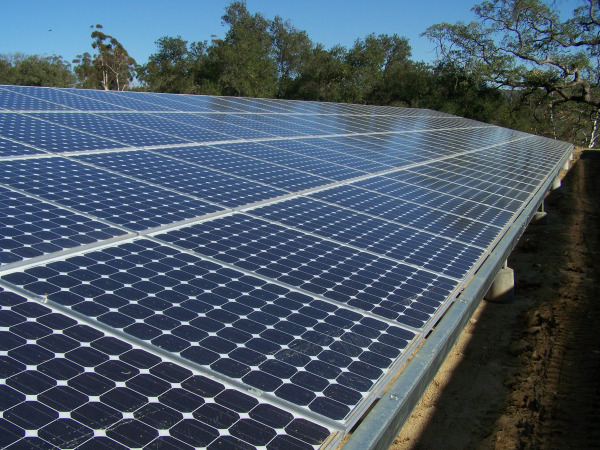 Solar panels are an ideal way to generate revenue while offsetting rising utility costs. There are several areas of the country where businesses, that produce more energy than they use, can sell the power back to the electric company creating an additional revenue source for your business. In states where solar is a much sought-after source of energy, such as California and Florida, the government offers significant tax incentives to businesses investing in solar equipment. Grants, cash rebates and other enticements are also available from utility companies. Sites suitable for solar systems must have an adequate source of sunlight, up to five hours daily. Solar panels installed on buildings should ideally have a southern exposed roof. Solar Panels can also be installed as shade structures. All solar power systems should include inverters, which convert DC power to utility grade AC power, and monitoring equipment to ensure that your system operates at expected efficiency levels. Mako Steel has installed hundreds of Solar Panels for the Self Storage industry and will design and engineer a complete solution for your business. We work directly with Solar companies to design the overall layout of your facility, taking into consideration panel orientation, layout, angle and spacing to maximize kWh production and ultimately your solar income. Installing Solar Panels on your self-storage facility requires expertise in Solar Panel Installation and Self Storage Construction. 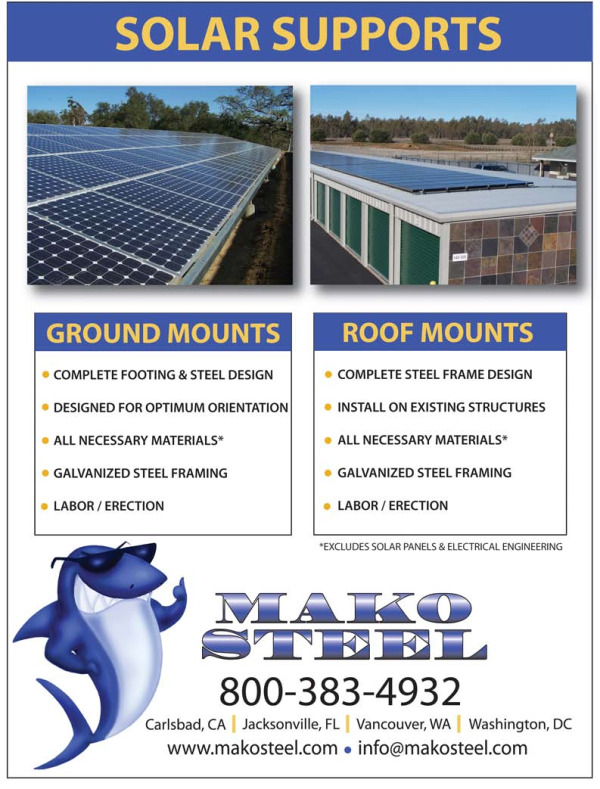 Contact Mako Steel to discuss installing Solar Panels on your existing self-storage facility or including solar panel installation in new Self Storage Construction and Engineering plans. Download our solar panel spec sheet. Learn more about federal, state and local incentives and policies that promote renewable energy by visiting the official website of the Database of State and Efficiency at www.dsireusa.org.